The leaders of Nevada's drone industry are taking aim at the problem of drones entering restricted airspace. 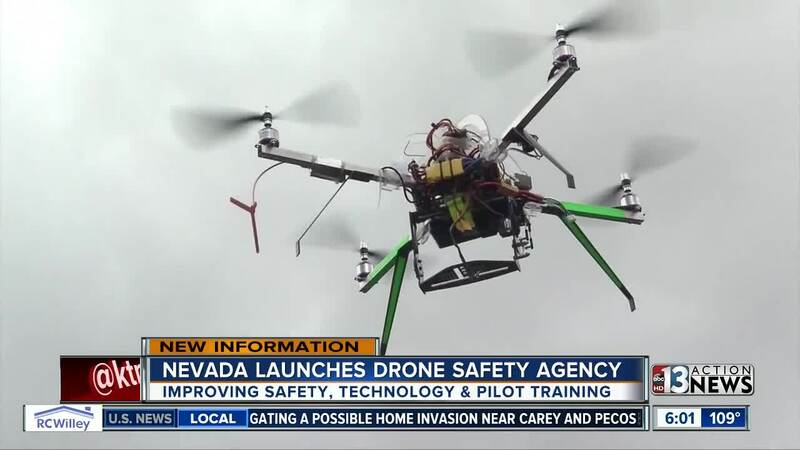 "Right now the FAA is over 100 incursions a month and that basically breaks down to every 7 hours there is drone incursion," Chris Walach, the Senior Director Nevada UAS Test Site said. "We will be doing outreach with public education," Walach said. "Where a recreational user lost control and it fell out of the sky and struck a lady in her leg," Wallach said. "The technology now can identify the make model and series, but the technology can't quite say this drone belongs to Bryan or anyone else," Walach said.